Myths of a Golden Age, a paradise at the beginning of human existence, are nearly universal in all cultures. But where was this “Eden” located? Refuting the traditional assumption that the cultures of the Middle East and Mycenae filtered northward into Europe and North Asia, noted historian Geoffrey Ashe instead identifies the northern Altai mountain range and Lake Baikal region of southern Siberia as the true cultural home of humanity and the source of the widespread myths of a prehistoric Golden Age. With evidence dating back as far as 24,000 BC, Ashe shows how the culture of prehistoric southern Siberia was matrifocal, Goddess-worshiping, and heavily shamanic and served as the progenitor of advanced ancient culture in the Western world, the missing link that later influenced Indian, Middle Eastern, Native American, and European society, culture, and religion. He reveals how ancient Altaic culture was the source of the pervasive mythic symbolism of the number 7, found in cosmologies and mythological traditions around the world, as well as reverence for the seven stars of Ursa Major, the Big Dipper, and the idea of a “sacred mountain to the North.” He traces the transmission of these cosmological beliefs into Babylon and ancient Greece by migrating tribes, including those that crossed the now-vanished land bridge to the New World. Ashe reveals how this transmission of beliefs had a profound influence on the seven-note musical scale, the seven astrological planets, and the seven vowels of the Greek alphabet, as well as the development of seven as a sacred number in Judaism. He shows how the ancient Altai-Baikal culture influenced the Rishis of India, the creation of the Vedas, and the sacred legend of Mount Meru. He also reveals how the Hellenic cults of both Apollo and Artemis originated in southern Siberia as well as the sacred bear symbolism found throughout the ancient world. Offering proof that advanced cultures existed in Europe before the immigration of Eastern peoples, Ashe shows that early societies did not look into the future for perfection but to the past, to the Golden Age of peace in the sacred northern mountains. Five thousand years ago people of Indo-European stock lived in the western part of the Altai Mountains and in the Minusinsk river basin just to the north. The more remote consequences of their contact with shamanism are still with us, and most profoundly so. No one knows what the Indo-Europeans called themselves. Archaeologists speak of a culture stretching from the Ukraine across the steppe lands that resembled other cultures living by the Don and the Volga. Similar communities, pastoral and, in a limited way, agricultural, undoubtedly were scattered over the space in-between. From these people, and others akin to them on the steppes, IndoEuropean expansion proceeded south and southwest. Indo-Aryans were the first members anywhere of their vast linguistic family to speak to us in literature that survives. We find them in the Indus Valley, superseding an older civilization. They have a language that evolves into Sanskrit; they produce a sacred book, the Rig Veda; and their own descendants expand farther into the subcontinent, creating the India of Hindu history and tradition. The beliefs and ideas of their forebears can be implied, as can continuity with an ancestral north. In Altaic shamanism cosmic character is confined to the two most powerful wild creatures, the elk and the bear, the latter being the greatest of cultic beasts. Both have their places in the sky as the neighboring constellations Ursa Major and Boötes. The first of these, the Big Dipper, is the Bear; in parts of Siberia, Boötes is the Bear and the seven-star Dipper is the Elk. 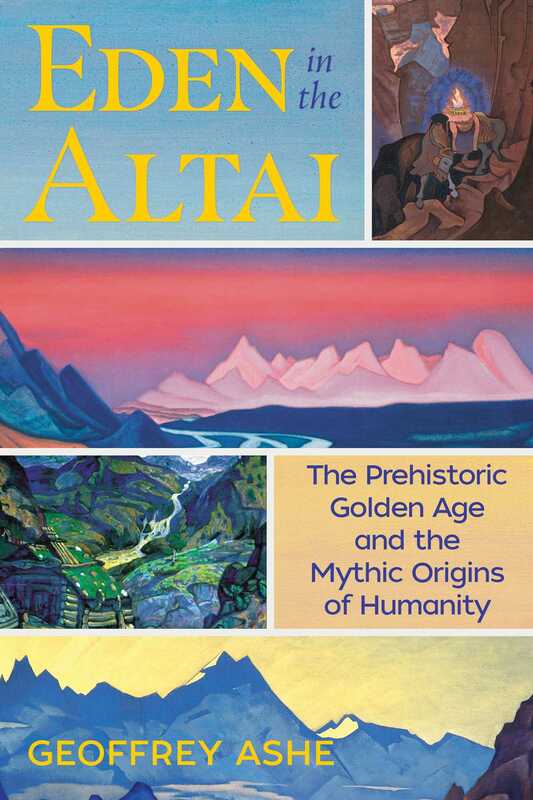 Altaic Shamans also have other myths that personalize the stars as seven beings--the Seven Old Men on the central mountain or the smith shamans recorded by artist and explorer Nicholas Roerich. From that celestial counting, perhaps, came the mystique and shamanic role of the number seven, with unmistakable significance in the Altaic region. Rishi means primarily a poet who composes hymns to the gods, but the Seers forming the sky heptad are much more. They have been described as “mysterious beings connected with the origin of man and knowledge” as representatives of a sacred past. They are responsible for Hinduism’s basic scriptures. Their status is unique, between humanity and divinity. Hymns in the Rig Veda speak of them as acting in concert with a creator figure, helping to “carve” the sky and earth and “harmonizing” the cosmic patterns. The stars fixed on high appear at night. By day they depart, we know not whither. Varuna’ s laws are faithful. In the first line the translator sidesteps an issue he may have wished to avoid. Almost certainly the reference is not to stars in general but to seven special ones, a group, Ursa Major. The word, in the singular, is riksha. Very rare in the Rig Veda, it can mean a star but also can mean a bear, that being its primary sense. In other contexts the plural of riksha is certainly employed to mean the preeminent stars, the seven. A Vedic scholar even suggested that they acquired their dignity as Rishis only because of the verbal echo. But ambivalence of riksha is a fact. For IndoAryans (as also, eventually, for Greeks and Romans) the septenary constellation could be ursine. It could be picked out as a special group of bear stars. This is very odd. In the Indus Valley the bear would not have been a natural creature to think of. It was known, but it was far from familiar. The word riksha in its basic zoological sense occurs only once in the 1,028 hymns of the Rig Veda. Why apply it to stars at all, and especially such outstanding ones? A thought presents itself. The Rishis are seers. Who is the seer, humbler than those august beings but a seer still, who also can be a bear? It sounds like a riddle, but it does have an answer: a shaman. Shamans dress in the skins of animals and profess to take on their nature. Powerful shamans favor the powerful bear. In one Tatar dialect the word for a woman shaman, utygan, actually does double duty for bear. Such a background supplies a better logic for the two names of the constellation than a hypothetical wordplay putting riksha first with Rishi as a chance result. And, of course, the tribes of the ancestral north knew bears very well; the Indo-Aryans did not. We now have a case of apparent influence that is firmly evidential, because it is one-way. It has to go from the north to the south; it cannot be turned around. Since shamans assume the nature of animals--sometimes, though not by any means always, bears--the great shamanic stars might have become bear seers. The process would have been most unlikely to start at the other end, in a country where bears scarcely were known, were without mythic or folkloric significance, and where seers’ ursification was not known at all. Even if it happened, it could not have affected the established phenomena of the north. Geoffrey Ashe is widely regarded as one of the leading Arthurian specialists in the world and is author of several books, including King Arthur’s Avalon and The Discovery of King Arthur. Ashe became a Fellow of the Royal Society of Literature in 1963 and was appointed a Member of the Order of the British Empire (MBE) in 2012. He lives in Glastonbury.